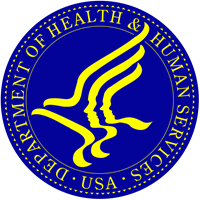 As AMTA announced in early January, the U.S. Department of Health and Human Services (HHS), through an Inter-Agency Task Force, has published a draft report on pain management best practices. This draft calls for individualized, patient-centered pain management, and it includes recommendations related to massage therapy. AMTA has provided its comments to the task force and encourages those massage therapists engaged in healthcare and those with interest in providing massage therapy in collaboration with healthcare facilities and insurance to comment on the massage therapy portions of the draft guidelines. All comments must be received by their deadline of April 1, 2019. AMTA continues to be actively engaged with HHS and the Task Force to work toward massage therapy’s full inclusion as part of the recommendations. This has included direct meetings with the chair of the Task Force and other stakeholder groups. However, the draft overview only indicates the inclusion of massage as a ‘restorative therapy’. The association has requested that it also be included in the overview list of ‘complementary and integrative health services’ to avoid confusion. And, AMTA has raised a concern that, the inclusion of massage therapy in some relevant areas of the report, while excluding it from others, may confuse the public, health insurance payors and other healthcare professionals, particularly in light of the report’s suggestions of the need to improve both provider and public understanding about different pain treatment modalities. AMTA believes that omitting massage therapy in some areas indicates a preference for other therapies that are listed. The association suggested one option might be to include a separate addendum to the report, listing complementary and integrative therapies provided by state licensed providers, such as massage therapists.